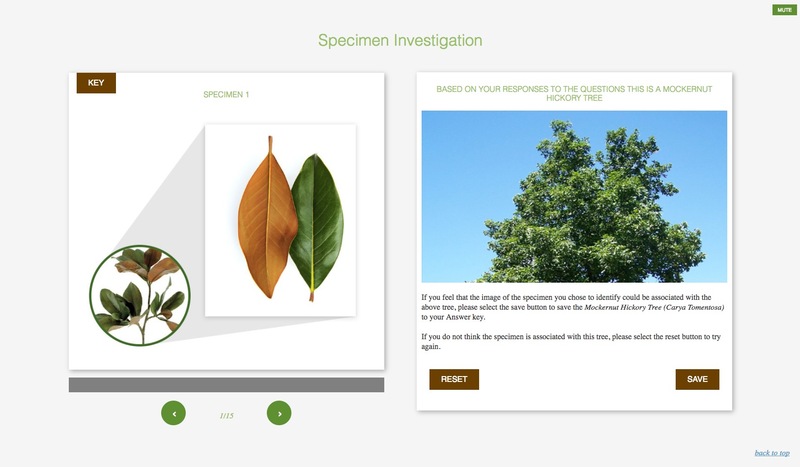 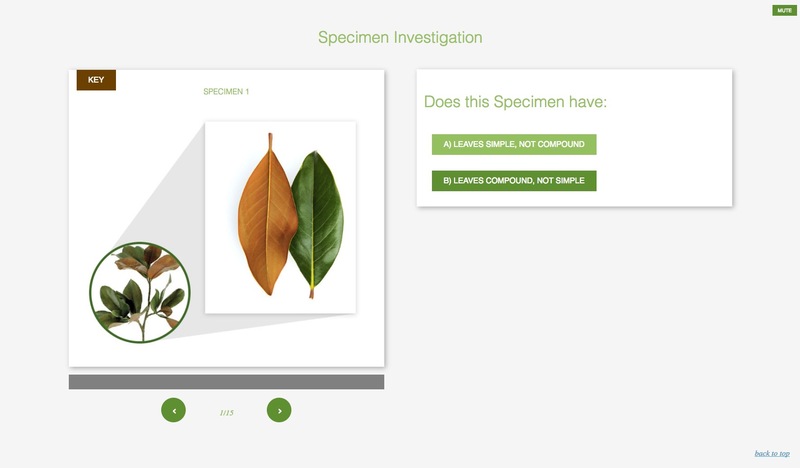 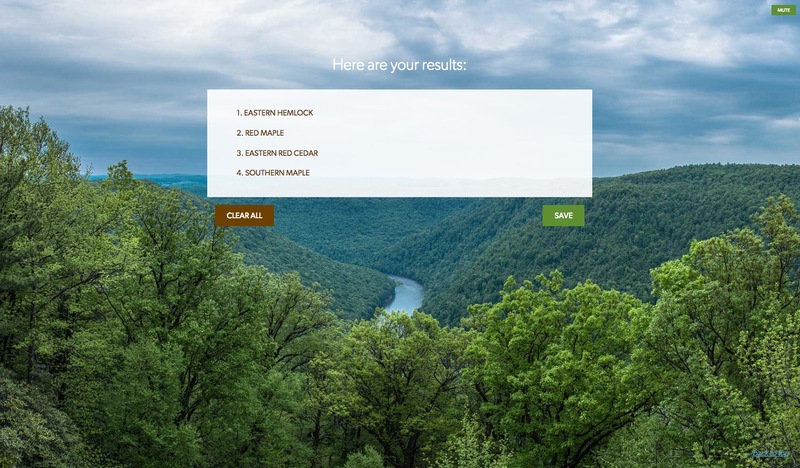 This Interactive dichotomous training module was created for students in order to understand descriptions of two distinguishing characters, with a direction to another stage in the key, until the species is identified. 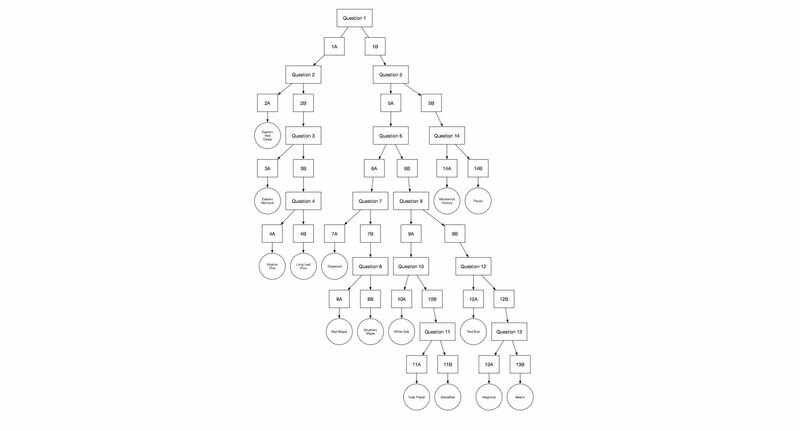 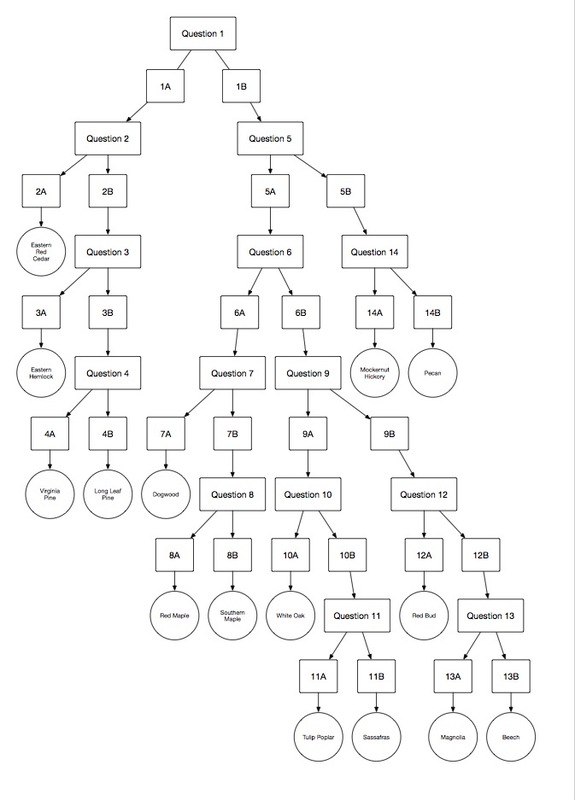 Possible branching outcomes based on user decisions. 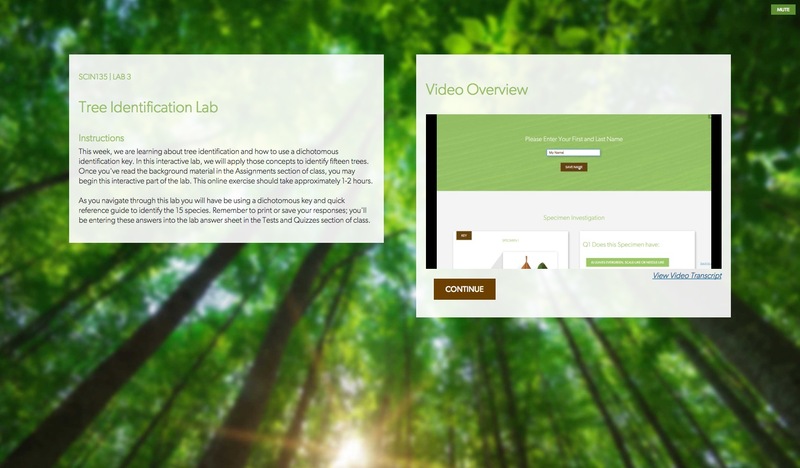 Brief video guide created to explain how to navigate through the lab.